START-TIME IS SATURDAY! Last Chance to Sign Up for Spring, 2016 24-Hour Short Story Contest!! 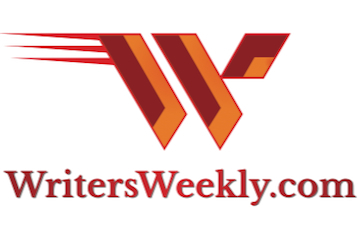 Saturday (tomorrow), at 12:00 p.m. (noon) Central Time, the topic of the WritersWeekly Spring, 2016 24-Hour Short Story Contest will be sent out via email to all registered participants, as well as posted to the WritersWeekly.com website. Participants must sign up before start-time. Since only 500 writers may participate, we encourage them to sign up early so they won’t miss out. Today, Iím featuring links to additional contest information, past winning stories, past topics, and much more. We LOVE contest weekends and we hope you can play with us! We canít wait to see what you send! 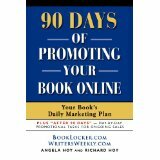 14 Tips To Give Yourself A Leg Up In Writing Contests! 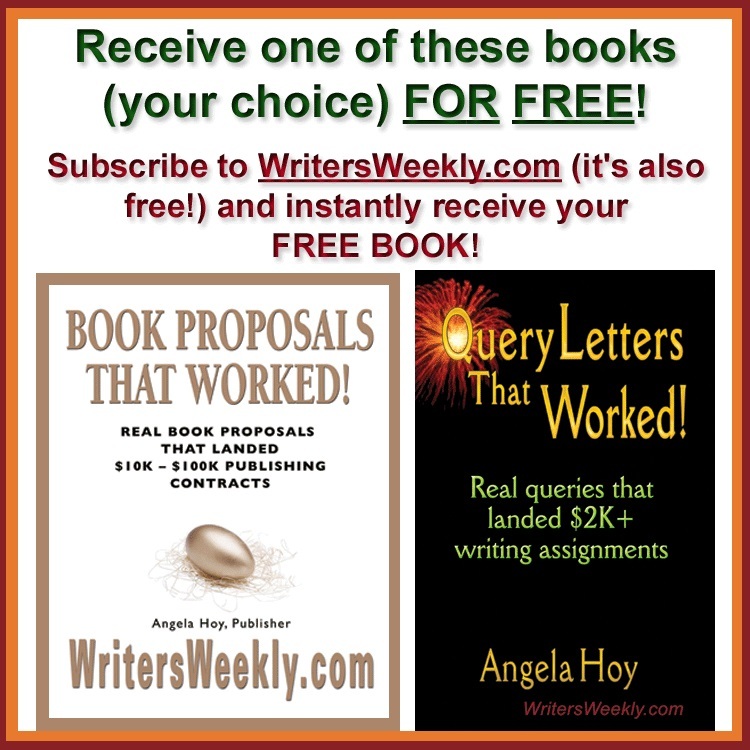 From WritersWeekly Short Story Contest Winner to Simon and Schuster Contract! Who owns the rights to your 24-hour short story contest entry? You do!! 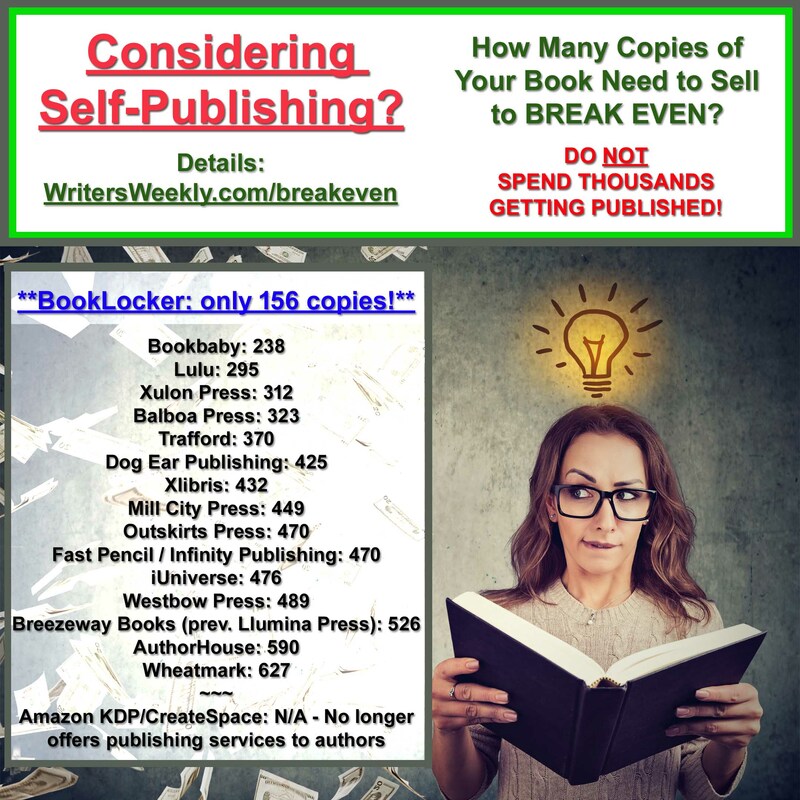 Can I Publish My 24-Hour Short Story Entry After the Contest? Yep!! 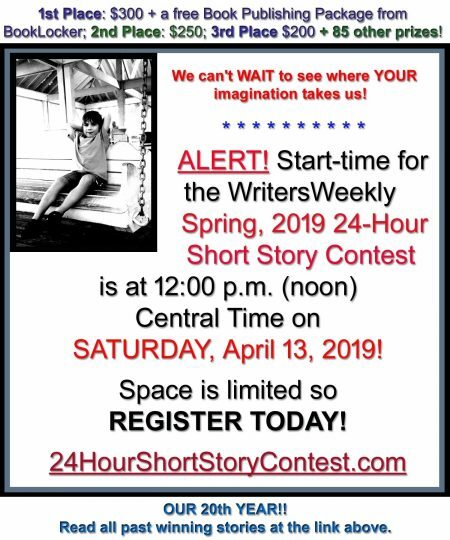 Can My 24-Hour Short Story Contest Door Prize Be An Entry Fee For The Next Contest?